A perfectly portable billboard for sharing your passion for a cause or marketing your brand to the masses, our oval vinyl bumper stickers will share your message everywhere your travels take you! Made from brightly colored high quality vinyl, our bumper stickers are made to last. 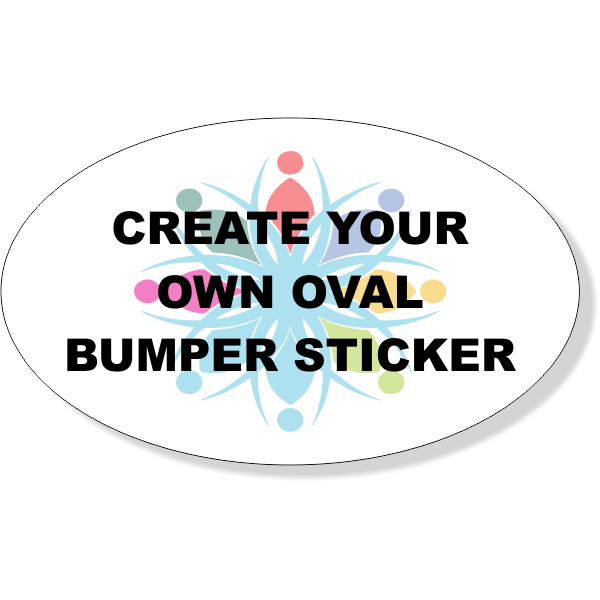 Oval sticker measures approximately 3" x 5"